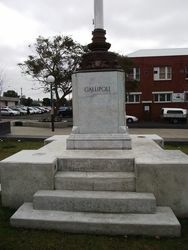 The War Memorial was erected by the citizens of Geelong West to commemorate those who served in World War One. 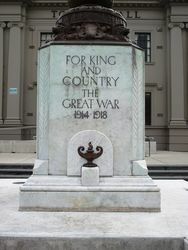 The memorial was unveiled by the Governor, Lord Somers on the 18th September 1927. 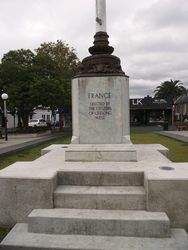 The memorial, which is a flagstaff set in a marble base with bronze reliefs, was erected at a cost of £750. 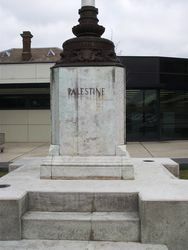 The memorial was dedicated by the Reverend J.J. Booth. The Argus, 13th September 1927.